Join our mailing list for updates on new products, events and sales, and related news. 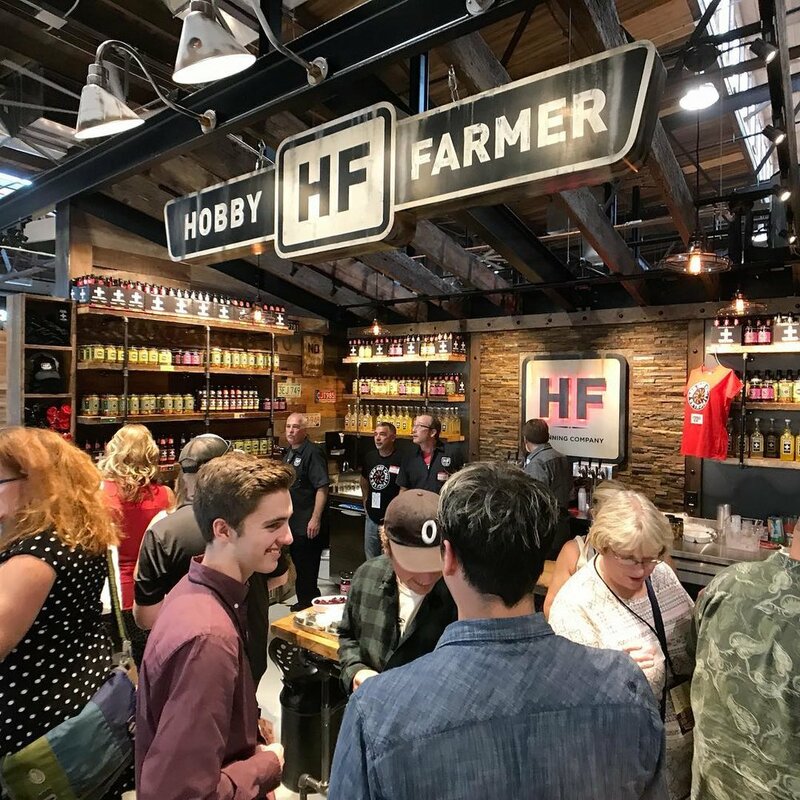 Thanks for Joining the Hobby Farmer mailing list. We’ll be in touch soon. Switchel Fizz is an all natural pre-biotic beverage that gives you energy, relieves inflammation, and is good for digestion. Brewed from perfect proportions of Organic Apple Cider Vinegar, Organic Ginger Juice, pure Clover Honey, and crystal clear Minnesota water, our Switchel Fizz replaces electrolytes, balances your bodies pH, cleanses your kidneys and liver, and is packed with the many other health benefits of Turmeric, Cinnamon, and Cayenne. Only 90 calories per 12 oz serving, and has no artificial ingredients, sweeteners, preservatives, or gluten. Best of all, it’s a delicious tasting alternative to sugary energy drinks, sodas, or ginger beer. It’s an excellent thirst quencher on a hot day, or makes a great cocktail mixer that is half the calories of other artificially sweetened tonics. Switchel has been used for centuries by hard working farmers, who used it to take away pain and inflammation and provide them the energy to work hard day after day in the hot fields. Along with Kombucha, Apple Cider Vinegar based drinks like Switchel Fizz are making a comeback with people who know and understand the value of maintaining their health in a natural and holistic way. 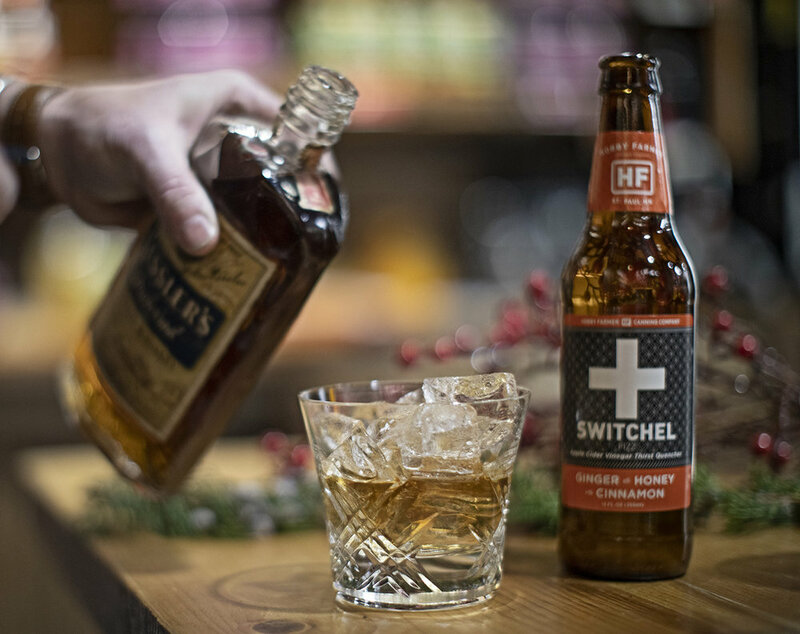 Switchel is great on its own or as a compliment to your favorite spirit. Sweet and salty. Tangy and tasty. Try our Mystery Hot, Zesty Garlic and Pepper, Bread and Butter, Red Hot Pickled Peppers, Zesty (with jalepeño) and original pickled beets. We are passionate makers of delicious, hand crafted foods and beverages. Our products are based on family recipes adapted to today’s tastes.